DMA Choir performed on Broadway! 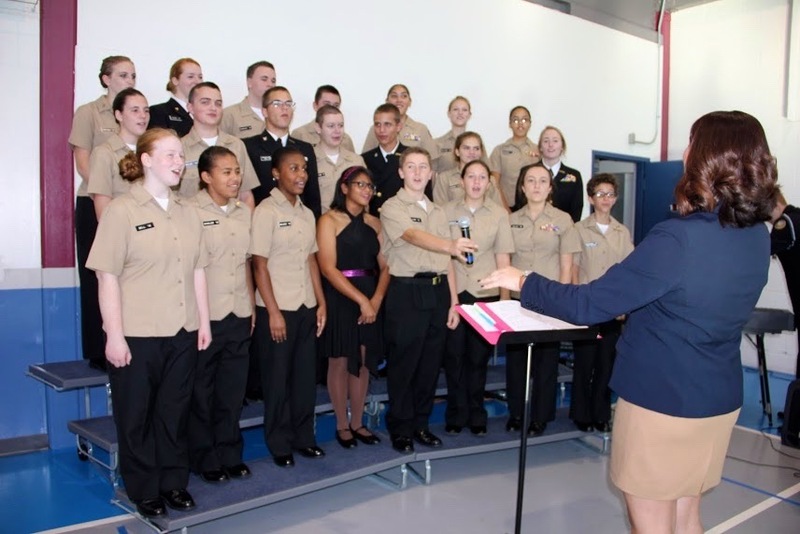 DMA Choir is a busy group, from performing at official events to taking music field trips! This clip is from a field trip to NYC when they saw the Lion King on Broadway. During a Disney "Behind the Magic Tour" of the New Amsterdam Theater, they were invited to sing this spontaneous performance. Enjoy! DMA Concert Choir meets once a day for 45 minutes during the school week all year. We are considered the "mini block" during the day. The DMA Choir starts every rehearsal with warm ups in order to prepare our bodies and voices. Good vocal technique is taught since it lays the foundation for great performances and a lifetime of singing. The DMA Concert Choir has a wide range of repertoire including familiar Broadway-style pieces, English folk songs, and even some foreign language arrangements. 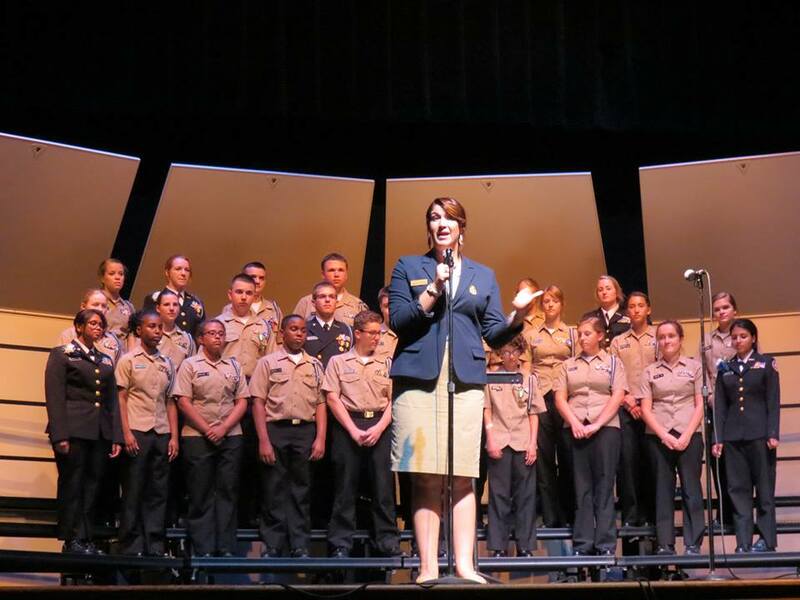 The choir consists of approximately 30 singers ranging from 9th-12th grade cadets. 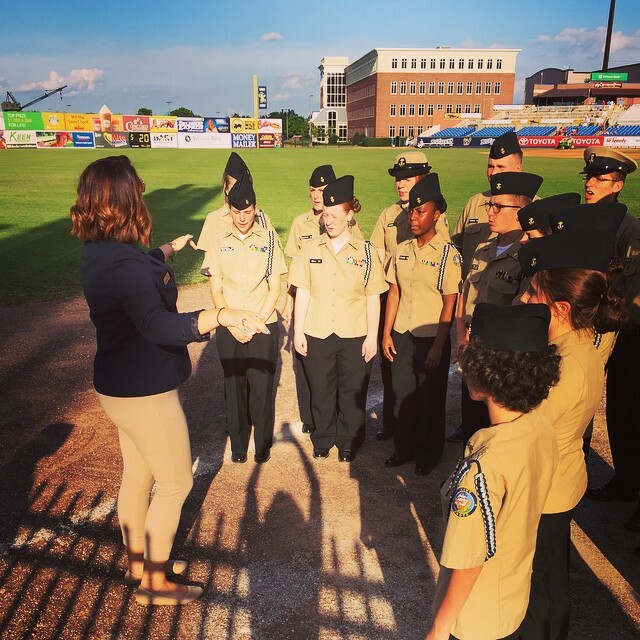 The DMA Choir regularly appears all around the local Delaware area, performing regularly at the Delaware Military Academy September 11th ceremony, various veterans day ceremonies, assisted living homes, charter school ceremonies, the Blue Rocks game, the New Castle County Police Graduation, and own personal concerts. 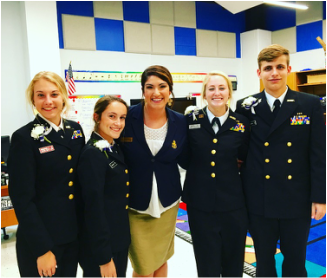 DMA Choral members have appeared for performances of the National Anthem at several prestigious events in Delaware, as well! Every spring, the DMA Concert Choir and DMA Marching Band go on a spring trip! DMA Choir members appear yearly in Delaware All-State Sr. Choir representing the school well and making us all proud! 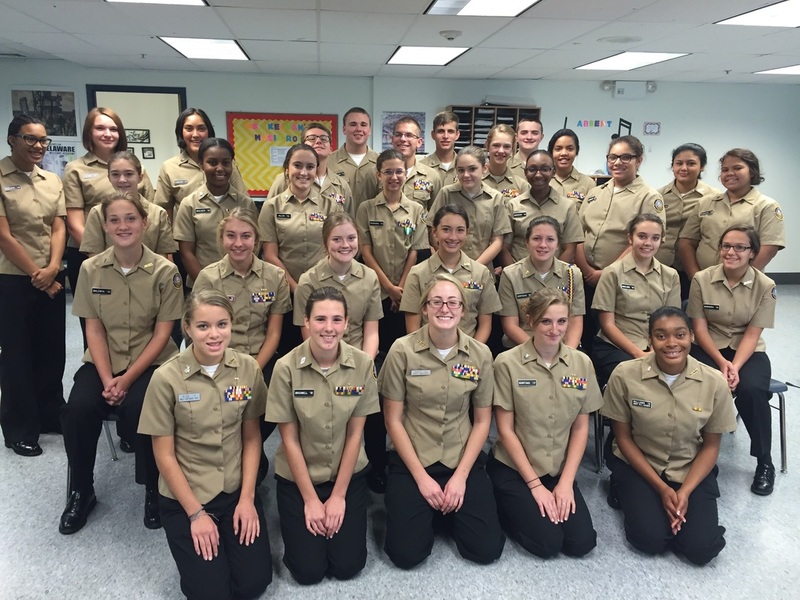 In 2015, the DMA Choir was awarded a Certification of Appreciation from the New Castle County Police Department. Please stay tuned for upcoming performances and important dates! To view our full calendar for Choir, please see the "Calendar" page.